In the early days of advertising it was sufficient to simply convey your product’s features and benefits. In the 1960s, advertising moved into promoting a brand using emotions. The emotional style of advertising has served large companies well, but it’s now breaking down. No one is impressed any more that your advertisement can make them laugh, smile or cry. They want to play with a real experience. Large companies are hurting from the steady decline in the return on investment from large advertising campaigns. The move to digital advertising isn’t making things much better. Digital advertising is easier to track, but it’s still advertising. In today’s economy, the best marketing is having a product that people want. To add insult to injury, it has also become harder and harder for big companies to innovate. 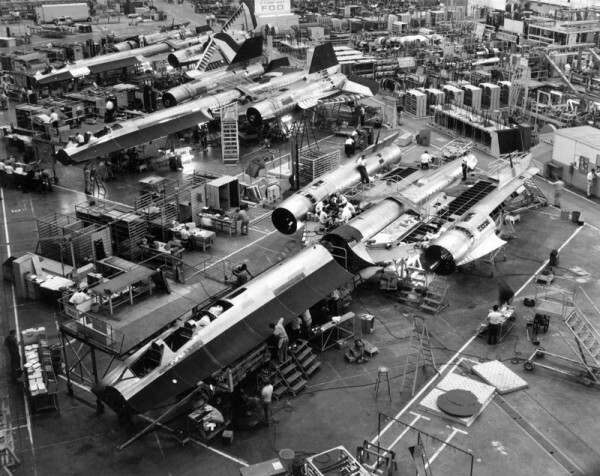 The models proposed in the 1990s for corporate innovating (like skunkworks, intrapreneurs and absorbing mid-sized companies) were effective but only up to a point. The speed of innovation in every industry has accelerated because the tools available to startups have started to level the playing field. 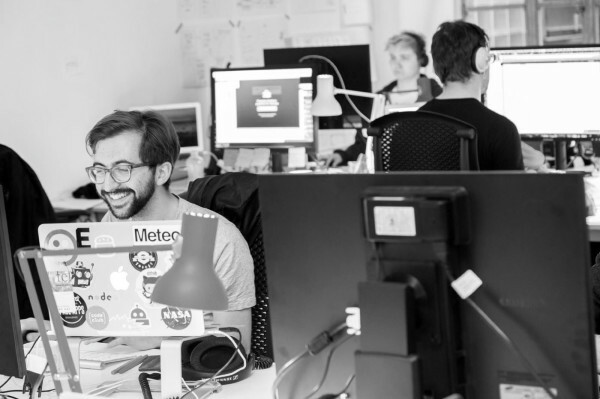 These days, two software developers in a garage could revolutionise your industry in a weekend using APIs, online startup tools and cloud deployment to build an enterprise scale solution. More worryingly, the same duo could list their product on Kickstarter (or their company on an equity crowdfunding platform) and have investment within a matter of hours. This has lowered the barriers to entry in almost every industry. Startups can now create new products so fast that big companies are struggling to keep up. Equipped with new tools that let them compete globally, startups can now leverage their real competitive advantage, their mindset. Good startups are distinguished by their speed, willingness to take risks, customer centred thinking and commitment. Big companies are starting to see startups as more and more of a credible competitive threat. There should be plenty of design thinking and innovation agencies that can provide agile innovation consulting. Their grounding in physical product design makes them excellent creative, practical and human-centred thinkers. However, the incumbent innovation agencies like IDEO, Adaptive Path, Continuum and Frog have surprisingly entrenched economic models. They have steady billings from things like FMCG packaging design, industrial design (for tooling) and implementing standardised NPD systems. 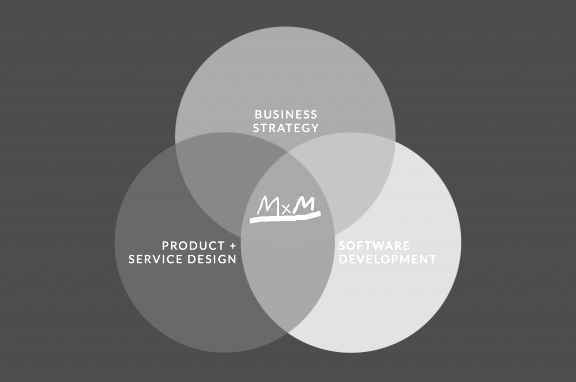 The big product design firms have grown as large as they have by making their work more repeatable and scalable. The move to digital and social media is re-rolling the dice because some of the most successful innovation agencies have been left behind by the speed of change. Big brands may still turn to these firms for advice on how to innovate at scale but traditional product design firms no longer exclusively own the innovation conversation. Younger service design and user interface firms (like Fjord, Engine and We Are Human) are new enough to provide useful advice to clients on innovation. But they can sometimes get pigeonholed into doing wireframes (or process improvement) and clients don’t always know which budget stream to allocate to employing them. 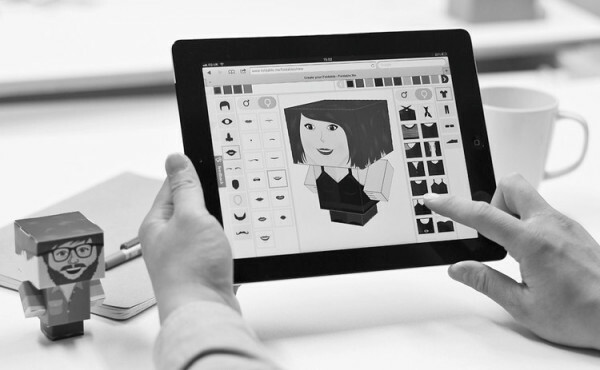 The new breed of Digital Product Design firms (born in the last ten years) are growing up fast. Agencies like Ustwo, Mint Digital and Made by Many can produce a prototype for an innovative new product in 2-4 days. They use the startup mindset (hackathons, lean startup and agile methods) to sprint from brainstorm to working prototype. There are some bleeding edge firms among the digital product designers that blend both product design and startup incubation into one firm. 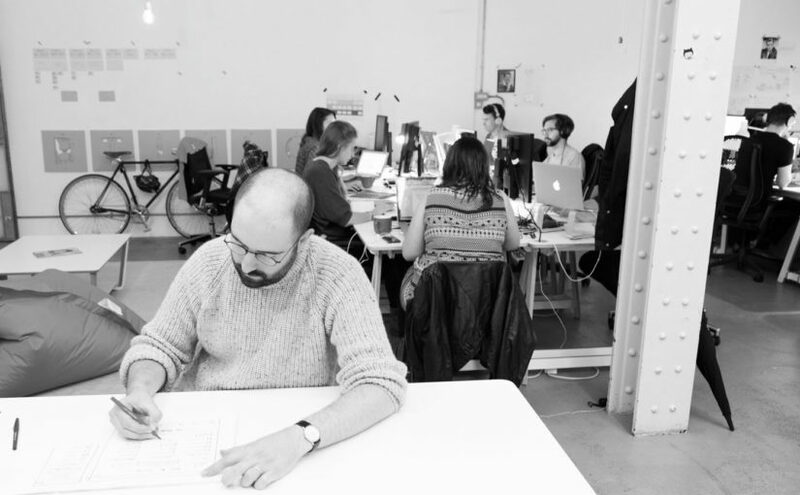 Adaptive Lab, Sidekick Studios and Digital Telepathy provide design services as well as building their own products. But it’s hard to be a maker and a helper at the same time. The digital product design firms are doing seriously cutting edge work, but none of them have quite achieved the global scale yet to take on the big management consultancies and advertising agencies. Startups grow better in a supportive eco-system. Organisations like Y-combinator, Wayra, the Icehouse, Innovation Warehouse, TechStars and Seedcamp have built a thriving global support network of incubators, accelerators and co-working spaces. Big companies have tried sponsoring these organisations but the cross pollination has been accidental, infrequent and ad-hoc. A new breed of incubators and accelerators like Collider 12, the Bakery and Mother at the Trampery are blending large brand patronage with startup incubation. 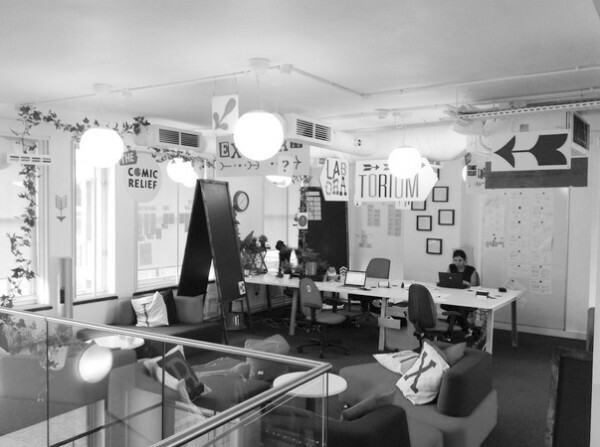 These spaces provide exciting chances for brands and startups to collaborate and cross-pollinate. But even these new corporate incubators seem like an evolution of the acqui-hire model rather than a genuinely new approach to corporate innovation. The member startups may have aspirations to sell their widget to a corporate client but the knowledge transfer is limited. They’re unlikely to cause deep change back inside the mothership. Brands are directly engaging with the startup community through sponsoring, hosting or commissioning corporate hackathons. These 2-3 day events are a furious burst of designing, building and developing. They’re called hackathons because they involve lots of coding and hacking together improvised prototypes. 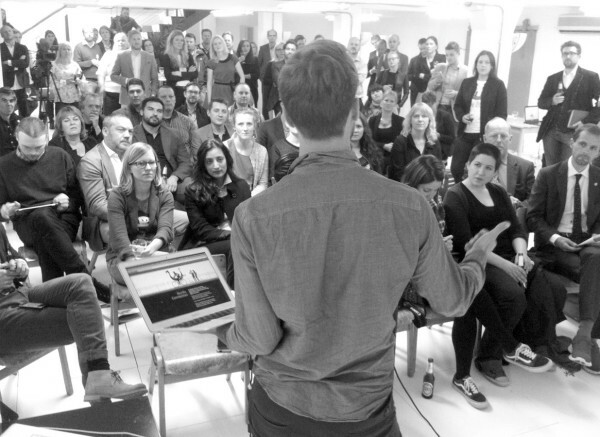 A hackathon-as-a-service can include a mix of agency staff, client staff and the general startup community (incentivised to attend by the prize or the chance to make connections). Organisations like Founders Hive and One Leap help organise and facilitate hackathons (some are community-led and others have varying ranges of corporate involvement). The output of a brand hackathon is (by definition) “hacked together” so it’s often not ready for primetime with a brand’s audience. Some brands aren’t quite ready to air their dirty laundry (or half-finished ideas) in public. There are also a host of problems with corporate hackathons to do with followup, intellectual property ownership, prize structures, remuneration, trade secrets and client expectations. 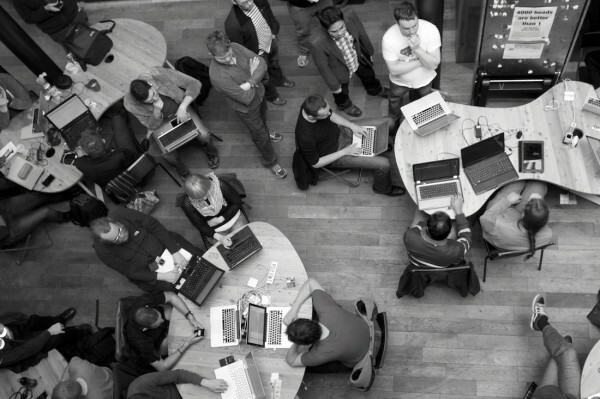 Brand hackathons are part of the future of big companies and small companies playing together. But they aren’t the full story. A Startup Foundry is a company that creates companies. 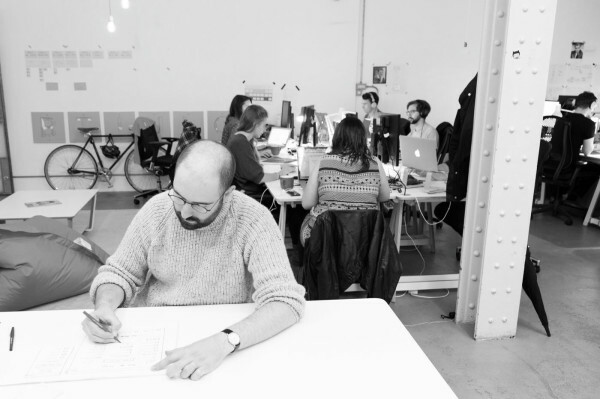 The foundries blend the best of a design firm, a startup and a venture incubator. If I wanted to show a CEO where the best innovation in the world was happening today then I’d take them on a tour to Makeshift in London, Betaworks in New York or Rocket Internet in Berlin. But I’m not sure that any of the rockstar designers and developers in these hot houses would want to spend the day playing buzz-word bingo with a corporate CEO. Many of the best startup foundries are built by former entrepreneurs, designers and developers who wanted their freedom. Their aspirations often tend more towards the building products than serving corporate clients. The foundry model is so new that it’s still mostly untested. There are problems with the kill-chain inside well funded foundries (it’s too easy for pet projects to drift on). Innovation agencies like Cornershop, Sandbox Industries and Forward Partners have experimented with a hybrid model where the support is wrapped around an entrepreneur-in-residence who is responsible for the startup while it’s being incubated and is able to graduate from the foundry at the same time that the company does. By contrast, the product-only foundry model doesn’t require an entrepreneur-in-residence, but it has several problems with graduation. The conventional angel investing model doesn’t cope well with graduating a product by itself from a foundry (angels like to invest in teams not just a product). Yet, a working product (without the team) is exactly what some large corporate clients are looking for. I’d argue that many of the startup foundries are leaving money on the table by not realising how well their objectives could align with large corporate clients. Startup foundries could build a startup and then sell it to a corporate patron rather than trying to graduate it on to angel investing and organic growth. Corporate hackathons and sponsored incubators are the beginning of a new trend; the startup as a service. In the future, new products and services (even those offered by large companies) will be conceived, tested and funded in public. Once they are up and running, they will be handed on to the patron company to scale up. Business model that includes an audience, vision, purpose and values. Brand reputation and tribe that is cool enough to be favourably absorbed by the mothership. Product or service prototype that has been deployed with real customers. Team or a set of cultural instructions that allow the startup to survive inside the patron company. Integrating the startup into the client brand is a non-trival task. This is where training and consulting have to grow and evolve. The handover could be thought of more as after-sales-service rather than as just consulting because the foundry would have a vested interest in seeing the transplant be successful. The full “startup as a service” model is new and untested. But the corporate hackathons and patronage models are already up and running. There are several interesting examples that point the way to this new style of working with large brands. Mint Digital run hackathons for themselves and for clients. They have been using crowdfunding campaigns to test the demand for ideas that they create during their in-house hackathons. If a crowdfunding campaign is successful then the idea has bee validated by the market. Their Foldable Me prototype raised so much money on Kickstarter that Mint had already baked-in the demand for the product before they built the real thing (let alone launched it). The hackathon prototype raised $25,000 (ten times the $2,500 target). They have also been running hackathons-as-a-service with corporate clients. Mint Digital’s “4 Days to Launch” hackathon is available as a consulting/training service. It’s another example of the growing brand hackathon trend. Sidekick Studios created a series of mobile applications, websites, games and hacks with Comic Relief. The best applications were deployed live for real users to play with. 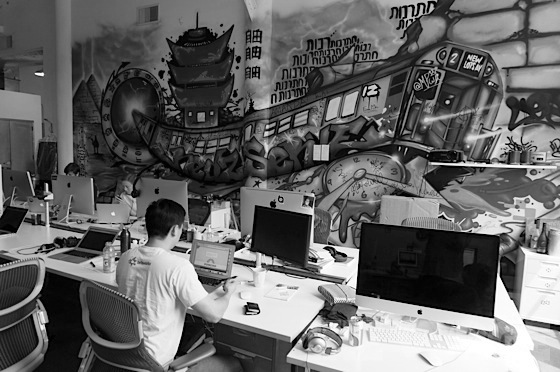 Sidekick Studios created a pop-up startup foundry inside Comic Relief to build new apps. The prototypes also acted as tests for how Comic Relief could collaborate with advisors and agencies to build things faster and launch more small experiments into the world. Sidekick have built this model into the Sidekick School which provides startup incubation for NGOs and charities. Visit a co-working space and get a sense for the vibe. Invest in a Kickstarter product (or an equity-crowdfunding round) to get a feel for the startup scene. Best of all, go to a hackathon and participate for yourself. No matter where in the value chain you sit, you can always be faster, leaner and more customer centred. Everyone has a role to play, but the future belongs to the most adaptable and agile. Great post Peter. Always enjoy your insights and story telling – this is one of your best. Interesting thinking Peter, though I have some concerns about this model. The main concern I’ll call the “surrogate mother” problem: the start-up as a service model runs into conflict where the values of the start-up and the corporate parent diverge. The start-up creates something, tests it, validates the audience (a crowdfunding process is a good method as you suggest), and builds a brand. In the process of which they realise they may be onto something special and don’t want to give that up to the corporate parent. What then? In this hypothetical situation, only the runts of the litter get handed over to the corporate parent, and the favourites get retained. It’s a win for the start-up and a loss for the corporate parent. Don’t get me wrong, there’s a massive opportunity for corporates in the start-up world, but they can only take full advantage when their own company goes through the mindset change that makes this possible. Corporate venturing (I’m guessing you saw this coming) is a way to have enough skin in the game to take it seriously, whilst building the capacity to be comfortable with the process. Completely true. Moving fast, making some mistakes and learning from them is what its all about. Creating software and acting on what customers want quickly, not getting too caught up in the senseless management levels like big corporations do. Peter, brilliant article. Thank you. Thanks for putting this together Peter, I really like the summary it’s brought together lots of strands I have noticed in snippets for a while. As a web design and build agency we’re looking at these firms and wondering what our own next step could be. The intersection of digital product design companies and traditional ones is one of the most interesting areas I believe.